A sentient response to surveillance might examine tools that address the problem, like encryption, operational security, and threat modeling. Or it might illustrate arguments from first principles that surveillance is wrong. It might even tackle both practical and moral aspects. This show does neither. Instead of responding to surveillance, it bears a disconnected witness - presenting ten artists' responses to different aspects of disparate, surveillance-related subjects. 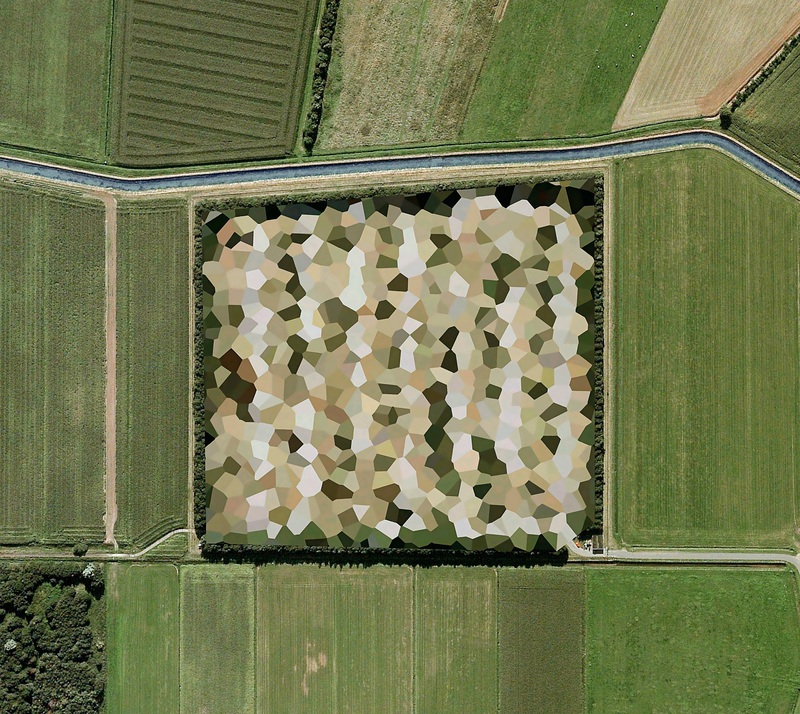 The Netherlands uses colorful polygons to censor select Google satellite pictures (Mishka Henner). Border guards guard (Julian Roeder). A fallen regime leaves its offices messy (Edu Bayer). Some works lend the show a saving grace of insouciance, like Hasan Elahi's self-surveillance in response to a terror investigation. Viewers leave knowing nothing new about information security, but at least they get to see every toilet Elahi used for ten years - and laugh, because his original intended audience was the FBI.